Mobile, Alabama, wasn’t a city that Ali had ever imagined visiting. It’s not that she’d purposely steered clear of it, she’d just never had a reason to consider it before. She realized that she knew nothing about it, really, other than the tales of racial strife back in the sixties, which had undoubtedly skewed her perception. She was about to find out what the city was really like, as she delivered a letter to another of her Georges, Rochelle Bremmer. Ali arrived in Mobile on July 1st, anxious to escape the ninety-one degree heat and check into The Kate Shepard House in midtown Mobile—another wonderfully unique, vintage home, transformed into an inn. Earlier, when scouting pet-friendly B&Bs online, she saw the photograph of The Kate Shepard House owners, Bill and Wendy James, posed with their Chow Chow, Koa Bear. If this place isn’t pet-friendly, she thought, no place is. Originally built in 1897, it was incredibly ornate, as befits a Queen Anne style Victorian home. Ali knew she was likely to spend several hours happily examining all the intricate features. Then, there was the added bonus of a treasure trove of historical documents that the James’s had discovered in the attic when they purchased the home. Most were dated from the 1800s, and the collection included rare Civil War documents. All were on display in the library for guests to peruse at their leisure. When she drove up, Ali saw that the inn was surrounded by magnificent Magnolia trees, which she would later learn were over one hundred years old. And she could see Koa Bear, along with a couple of unidentified canine friends, looking out the window, ready to greet her and Tess. She also noticed a nearby street sign pointing the way to the Old Dauphin Way Historic District she had read about online and confirming that the inn was well located for sightseeing. When Ali asked Bill and Wendy for suggestions about “must see” sights, they told her that the Bellingrath Gardens were absolutely breathtaking. And no visitor, they said, should pass up the opportunity to tour the USS Alabama, the keystone of Mobile’s one hundred seventy-five acre Battleship Memorial Park. As interesting as these attractions sounded, they would all have to wait until Ali had a chance to visit with her old friend, Rochelle. “Ali! You made it!” Rochelle said as she ushered her friend through the door of her screened porch. “I sure did, safe and sound. Could you please turn down the heat and humidity a little, though?” Ali teased. Rochelle hugged her long-lost friend and then pointed toward the porch swing where Ali happily took a seat. A few minutes later, Rochelle emerged from the house with two glasses of sweet tea and a three-year-old holding onto her skirt. A minute later, Rochelle’s mother-in-law came out from inside the house. After a quick introduction, she made her apologies for having to rush off. The next two hours flew by as the women filled each other in on the events of the years since they had last been together. “Do you mean me, or Leann?” Ali said as Leann rubbed her eyes and yawned. Rochelle was a terrific cook. She whipped up a traditional southern meal while she and Ali visited some more. Just as they were setting the table, Rochelle’s husband, Terrance, walked in the door. Once the introductions were done, they all sat down and enjoyed the fruits—and fried chicken, and collard greens—of Rochelle’s labor. As she was leaving to go back to Kate Shepard House, Ali turned to Rochelle and said, “I can’t imagine a more perfect day. I hope I’ll get to see a lot more of you while I’m in town. Of all the people I know, you may be the most courageous, and my greatest source of hope. Those few, simple words sounded like both a promise and a prediction to me, and you seemed to make it your personal mission to see to it that they came true. As far as I was concerned, our fate as friends was sealed then and there. As I got to know you over the next few months, I realized how little we had in common and discovered that it didn’t matter one bit. You were raised in the deep South; I was raised in the Pacific Northwest. You came from an urban-dwelling family of seven; I came from a suburban family of five. You were raised Baptist; I was raised Catholic. You were married; I was single. The list of contrasts went on and on. Certainly, our experiences play a strong part in shaping and defining us. They are not, however, the last word in forming our character. Character, I believe, comes from within us. And it was your strength of character that drew me to you. That became really clear to me when you confided in me about your husband’s gambling addiction. He was a good man, you said, and you loved him beyond all reason. His addiction hadn’t surfaced until after you’d married. Now it was slowly and relentlessly eroding your chances of building the life you wanted to have together. But hope dies slowly, you told me, especially when you love and believe in someone. You had already spent years hoping that Clayton would change . . . that he would somehow beat his addiction and return to being the man you married. Instead, his uncontrollable gambling got you deeper and deeper in debt. You had no hope of buying a home because your credit rating was so poor. You owed back rent and feared that you’d both end up living in your car. Your job at PCC and the benefits it provided were your best chance at salvation. Knowing how much you and Clayton both loved and wanted children, I wondered why you hadn’t started a family. You said that your last hope of convincing Clayton to get help was to refuse to bring children into the marriage until he got his problem under control. Even that threat wasn’t effective. Still, you just couldn’t give up hope that he would change. Hope, which had appeared to be a lifeboat, was instead creating an undertow, ensuring that you would eventually drown. As your friend, it was a very painful process to watch. As if your life wasn’t difficult enough already, that’s when you slipped on the ice in front of your home and fell. Fortunately, you had excellent health insurance through PCC, but the medical bills weren’t your main concern once the doctors told you your prognosis. The damage to your spine had paralyzed you. The doctors said there was very little hope that you would ever walk again. You refused to accept their medical conclusions. “There’s always hope,” you said. “Hope is the first step toward faith, and faith makes all things possible. I could see that you believed what you were saying. So much so, that you made me believe it, too. I listened to the doctors and I read the statistics that formed the basis for their prognosis. Then, I looked in your eyes and I knew they were wrong; just as you knew it. Two years later you walked down the aisle ahead of me as my bridesmaid. That tiny seed of hope that you nurtured within yourself eventually culminated in what some might call a miracle. Later, you told me that the lengthy recovery time after your accident had brought about another unexpected and positive miracle of its own. It gave you the perspective you needed to honestly evaluate your life. You realized that it was time to give up the illusion that Clayton would change, and you left your marriage. It was only after you moved to Mobile, and we lost touch, that I realized how much I’d learned from you about the role that hope plays in our lives. It seems to me that hope is a double-edged sword that one must wield with care. In your relationship with Clayton, holding onto hope became a destructive force, yet in your recovery from the accident, holding onto it was your saving grace. That’s quite a paradox. I find myself trying to understand the nuances of hope, and how it figures into in my own life and healing. It’s so wonderful to know that you are happy, healthy, and enjoying life as a wife and mother. You deserve every moment of happiness you can squeeze out of the new life you’ve built for yourself. Thank you for showing me that having the courage to hope can bring about miracles. Later that week, Rochelle and Ali dropped Leann off at her grandmother’s house for a visit while they strolled through the Old Dauphin Way Historic District. Rochelle loved window-shopping. Having Ali along for company was a special bonus. Ali was telling Rochelle all about her flat tire episode when suddenly, she stopped short. They were standing in front of the Crescent Theater on Dauphin Street where a line was forming for the next showing of Superman Man of Steel. Ali waited in the short line, walked up to the ticket booth, pulled out her credit card and handed it to the ticket taker. A minute later, she was back with Rochelle and they continued down the street with no particular destination in mind. Two teenagers stepped up to the window and were handed tickets. Alice Kuder has been rated by 19 clients. “Alice did a fantastic job of sticking with us through several ups and downs with our move, including the timing, as she helped us search for over a year and one offer we pulled back on. “Alice is an excellent agent, she is professional, knowledgeable, and trustworthy. I trust her judgement, and I know that she would not take advantage of our lack of knowledge, and experience in buying a home. Alice was willing to work with us via skype, and face time, she was/is always available to answer questions, and willing to research anything she doesn't know. She kept in constant contact with our lender, and made sure the process went along smoothly. “Alice sat me down and took talked with me for almost two hours on our first meeting. She walked me through what to expect during the process and what type of timelines and financial obligations I should expect. This was really helpful as a first time buyer to understand what I was getting into developing trust in Alice as a realtor. She was quickly able to help me figure out what style home I was looking for and was encouraging the entire way. “This was the second property Alice helped me purchase. I had a great experience with her when I bought my first house in Seattle. When I was looking to buy a property in Tacoma, I contacted her again. I knew Alice mainly dealt with the Seattle real estate market and I could have probably easily found an agent in Tacoma locally. But without a second thought I contacted Alice because I know she would always look out for my best interest. Alice did a lot of research to familiarize herself with the Tacoma market right away. She guided me through the process expertly as she always does. She patiently answers my questions and resolves any issue immediately. She is always available to me, even during her vacation! 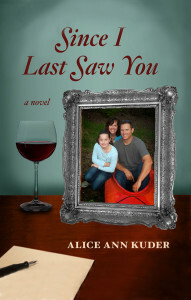 “Alice helped my wife and I, who are (were) first-time home buyers, buy our first family home. Even though she's based in West Seattle, Alice proved to be an incredibly helpful asset as we search for homes on the east side (Kirkland/Bothell area). She never was unable to make the trip to look for homes when we found one we liked. She's also incredibly communicative over both email and text, always providing up-to-date information or sending new potential listings to look at. She says she takes Mondays off, but she was always quick to respond even on that day.